I want to like what I’m seeing here. And I guess I do, for the most part. I just have to turn a certain part of my brain off. Namely, the part that registers guilt about a company cashing in on imagery and characters from a landmark story without their creator’s blessing. After months without any leads relating to the mysterious button Batman discovered during the events of DC Universe: Rebirth #1, the Dark Knight gets a surprise visitor: The Reverse-Flash. But what’s his connection to the Button? Where does it come from? How does it connect to the apparent changes made to the timeline? And how does all of this somehow involve the world of Flashpoint? “The Button” doesn’t give us any answers. 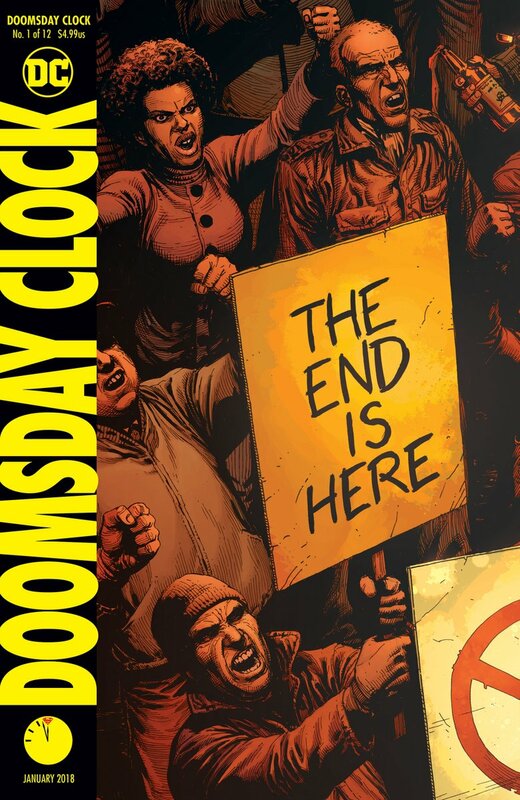 But it does wet your appetite for the just-announced Doomsday Clock event in November. It also manages to tug at your heartstrings with some pre-New 52 imagery and characters. So it does what it’s supposed to do. We even catch a little glimpse of Dr. Manhattan at the end…sort of (shown below). While we’ve known about the DC Universe/Watchmen stuff for about a year now (Has it really been that long? 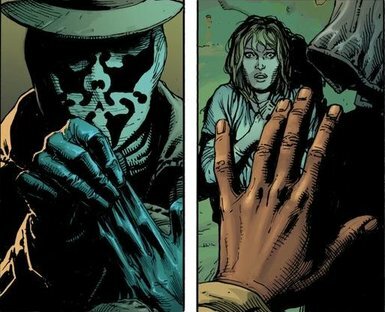 ), I still feel dirty when I see the Watchmen imagery. It doesn’t do much good to complain about it, as what’s done is done. 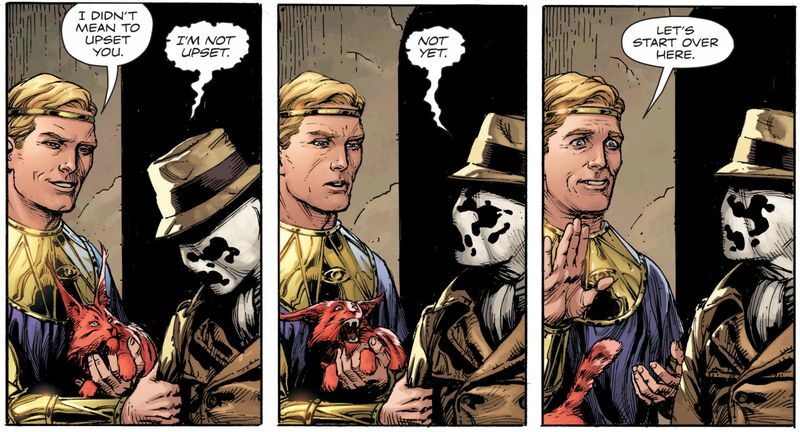 But considering what an achievement Watchmen was, and how revered it is to this day, without Alan Moore’s blessing there’s a certain lack of purity here. That’s only going to become more pronounced as we go forward. Our inciting incident occurs when the button comes into contact with the Psycho-Pirate’s mask, causing the Reverse-Flash to materialize in the Batcave. After a fight, Batman and the Flash attempt to trace the button’s unique radiation to locate it’s source using Flash’s Cosmic Treadmill (Yup, that’s a thing.) After the Crisis on Infinite Earths reboot came and went in the mid-’80s, the Psycho-Pirate was the one character who retained his pre-Crisis memories. I assume Reverse-Flash’s reemergence has something to do with that memory retention. There’s no other explanation…is there? 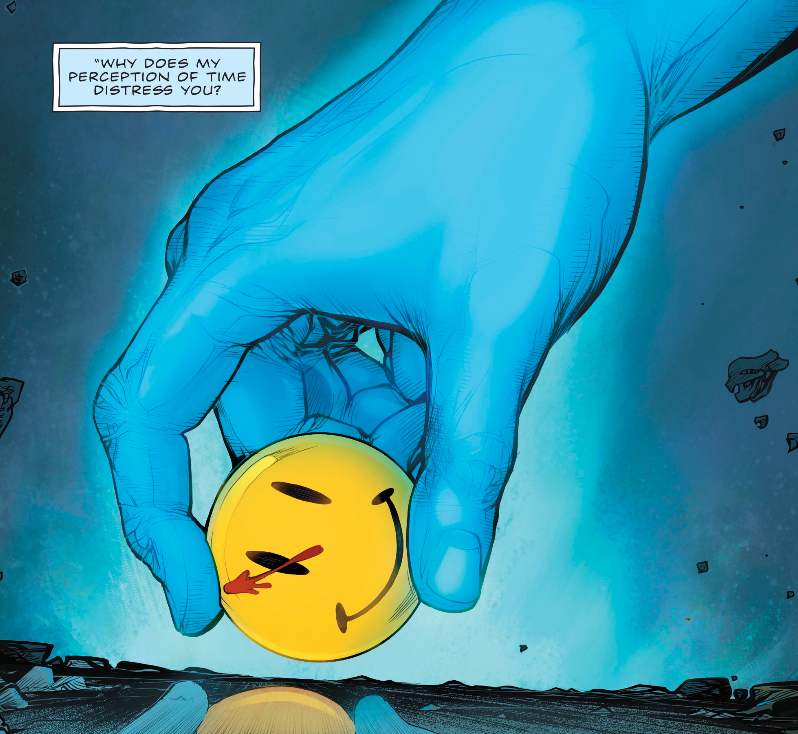 “The Button” definitely gives us the vibe that this New 52 continuity we’ve been in for the past several years is an injustice perpetrated by Dr. Manhattan. Several years have been from the timeline, forcefully robbing our characters of their memories and in some cases their very existence. We check back in with Johnny Thunder, who at one point cries, “We lost the Justice Society! It’s all my fault!” We also see Saturn Girl of the Legion of Superheroes, who’s screaming about a future only she knows about. As Batman and Flash make their way through the timestream, we see glimpses of events from Crisis on Infinite Earths, Identity Crisis, and other stories that have seemingly been out of bounds for the New 52. 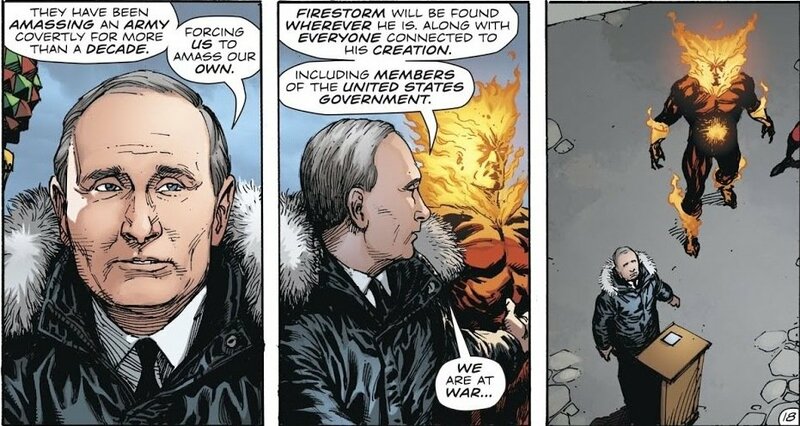 Then there’s the big surprise in the final issue: Jay Garrick’s brief return. 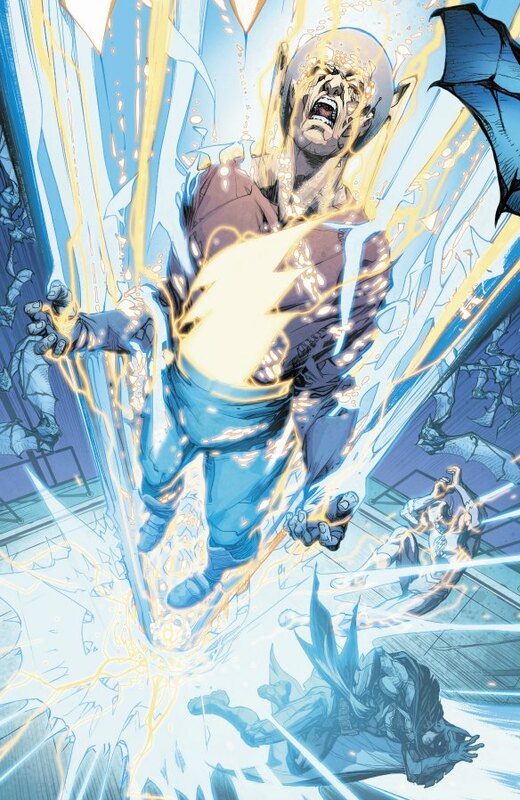 Jay comes back much the way Wally West did in Rebirth, but is unable to find a tether to reality the way he did. He’s seemingly jerked back into non-existence via some familiar blue energy. There’s a surreal and almost meta element to seeing characters like Jay and Wally pine to come back. Jay has a line, “They took everything from me, Barry. I don’t know how. I don’t know why.” Odd as it may sound, it feels like he’s talking about DC itself, doesn’t it? 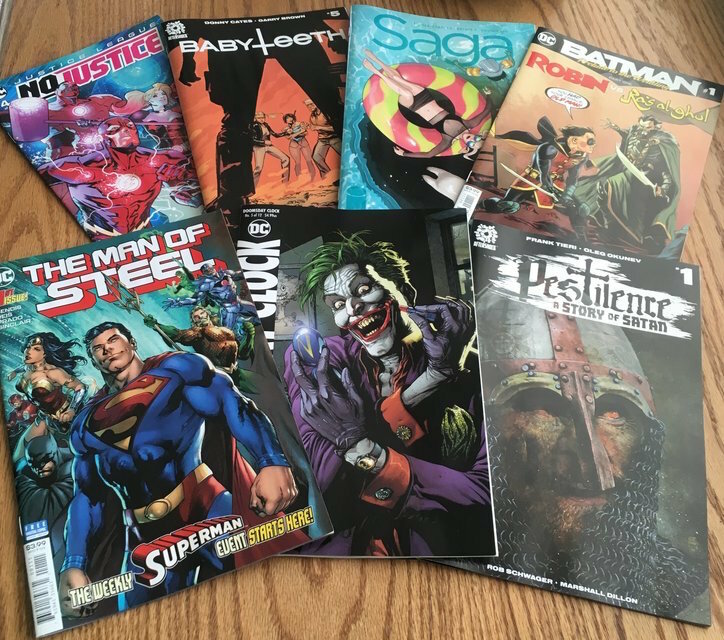 I’ve enjoyed the DC Rebirth initiative as much as anybody. But it does entail the company eating some crow. Yes, we’re happy to see so many familiar elements back in our books. But who took them away to begin with? Would they have gone through with the reboot if they knew they’d be backtracking it just four years later? Oddly enough, the emotional meat of the story isn’t so much the return of Jay, or the drama of what’s been lost. 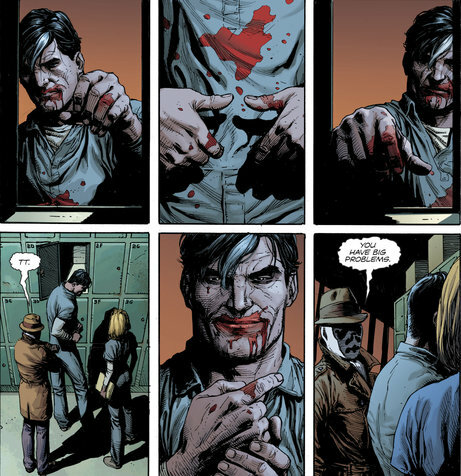 It comes in when our heroes accidentally find themselves in the Flashpoint universe, and they come across that reality’s Batman, Thomas Wayne. Thus, we get a reunion of sorts between father and son, each Batman in their own world. We’ve seen stories where Bruce somehow gets to talk to his parents again. Whether they’re ghosts, visions, or what not. But Batman #22 gives us two unique moments that manage to really hit home. The first is when Bruce tells Thomas, “You’re a grandfather. I have a son.” For older fans, that’s a really strong, relatable moment. The second comes as the Flashpoint sequence is ending. In their final moments together, Thomas asks Bruce not to be Batman anymore, and to instead find happiness. That’s a really compelling use of the Flashpoint Batman. I wasn’t expecting it here, but it creates a hell of a potential conflict for down the road. Can Bruce continue his crusade now? 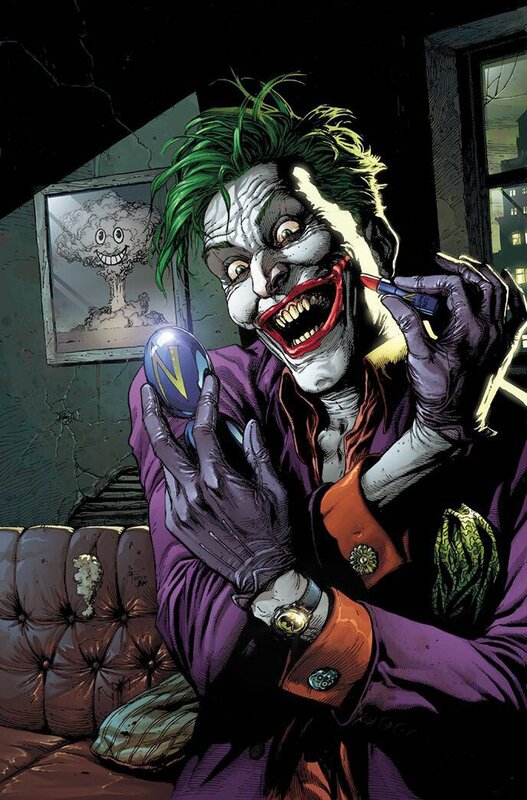 Jason Fabok handles the Batman side of things, and handles them quite well. You can’t deny quality when you see it. His work has a definite epic quality to it, and is very much worthy of what we see here. The Flash issues are pencilled by Howard Porter, who I have a lot of respect for. That being said, his style has never really been my cup of tea. As cool as the time stream sequence in The Flash #21 is, Porter’s work gives it a certain awkwardness. For instance, there’s a panel where we can almost see up Batman’s nose. Not necessarily what we’re supposed to be looking at, is it? 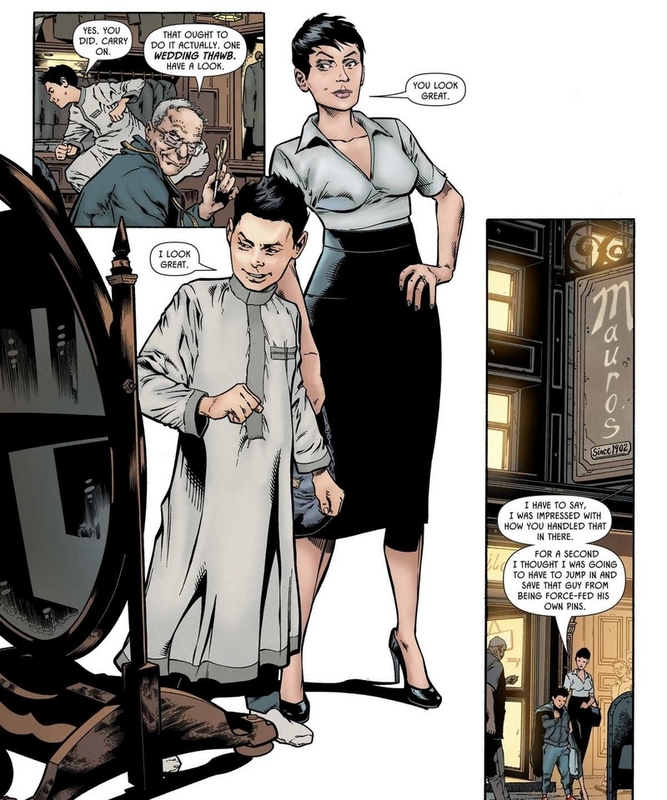 This entry was posted in Wrestling and tagged Alan Moore, Barry Allen, Batcave, Batman, Batman #22 (2017), Batman/The Flash: The Button, Bruce Wayne, comic book crossovers, comic books, Crisis on Infinite Earths, DC Comics, DC Rebirth, DC Universe Rebirth, DC Universe: Rebirth #1, Doomsday Clock, Dr. Manhattan, Eobard Thawne, Flashpoint (DC Comics), Howard Porter, Jason Fabok, Jay Garrick, Johnny Thunder, Joshua Williamson, Justice Society of America, New 52, Psycho Pirate, Reverse-Flash, Rob Siebert, Saturn Girl, The Flash, The Flash #22 (2017), Thomas Wayne, Tom King, Wally West, Watchmen on 05/21/2017 by primaryignition.